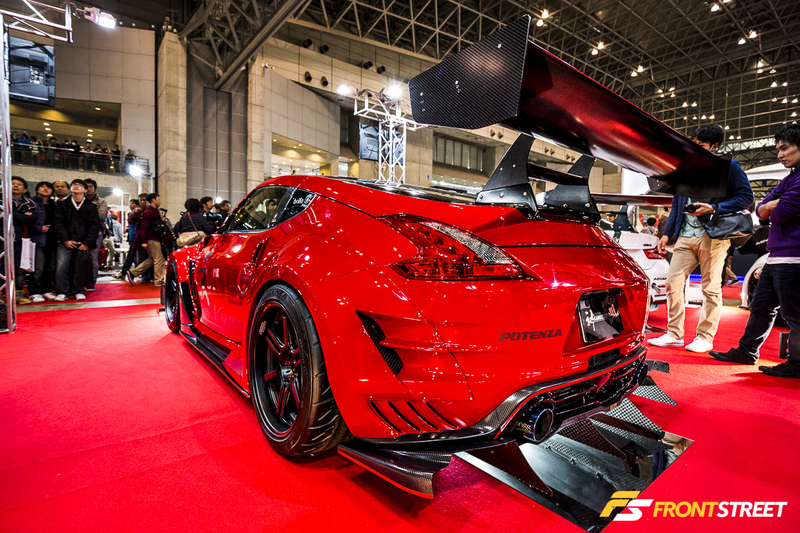 Japan’s outlandish style has shaped the sport compact tuning industry in recent years. 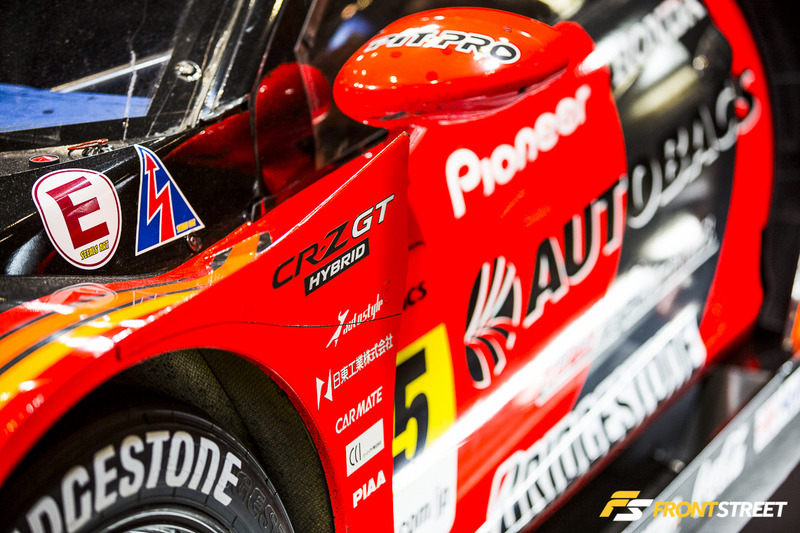 The craze over widened body panels, the oversized wheels to fit inside them, and the use of vibrant lighting emerged in this country. 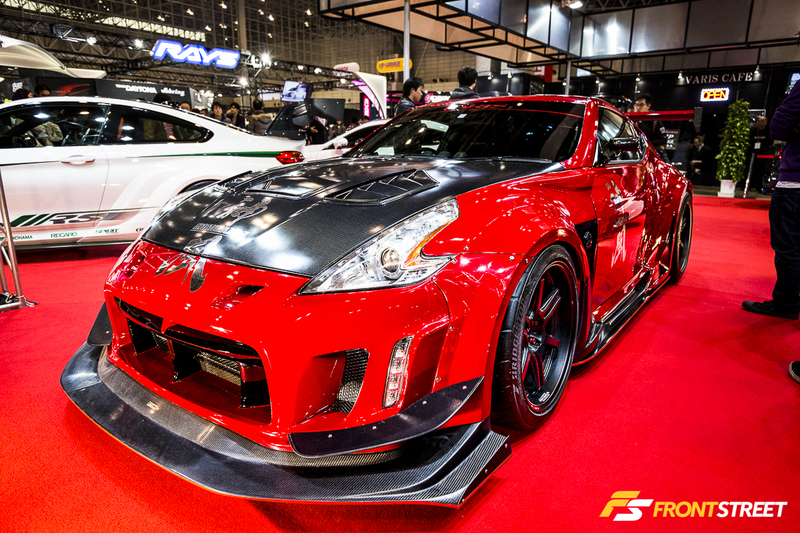 The Tokyo Auto Salon is one of the showcases in Japan that motivates this surge in ‘JDM style’, as many of the country’s pre-eminent builders and vehicle customizers display some of their latest innovations in and on their display vehicles. 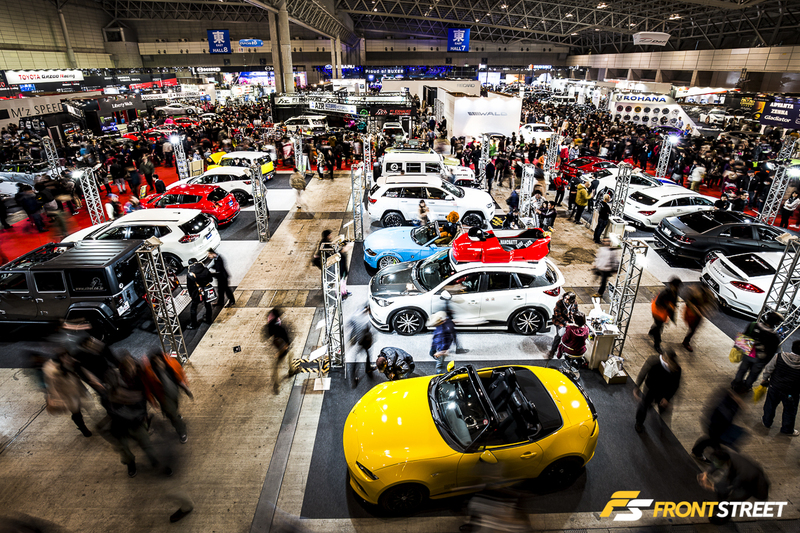 The gigantic event halls of the Makuhari Messe in Tokyo, Japan host the hundreds of show cars, vendor booths, and emerging aftermarket trends. 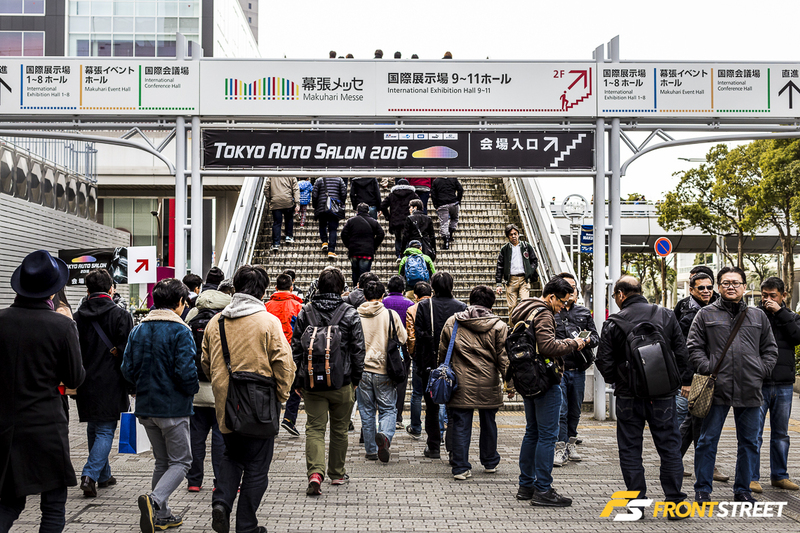 With over 300,000 attendees in 2015, the show is always growing and exposing the inner workings of Japanese car culture to the world. 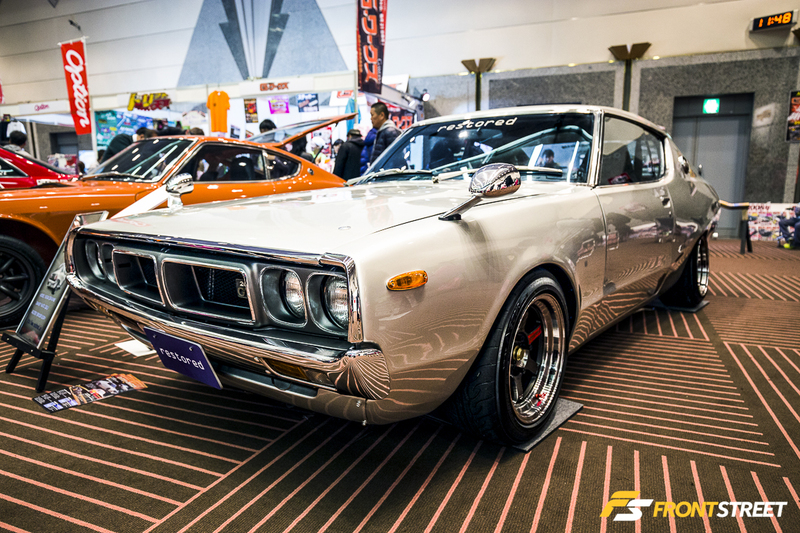 Many of these trends find their way across the pond to the United States; some never gain a foothold and remain unique to the Japanese builders. 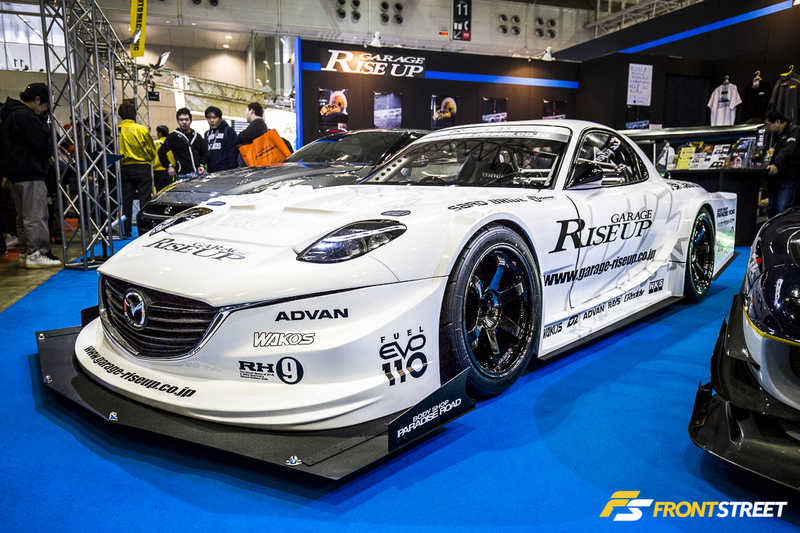 This is Japan’s version of the stateside SEMA Show. 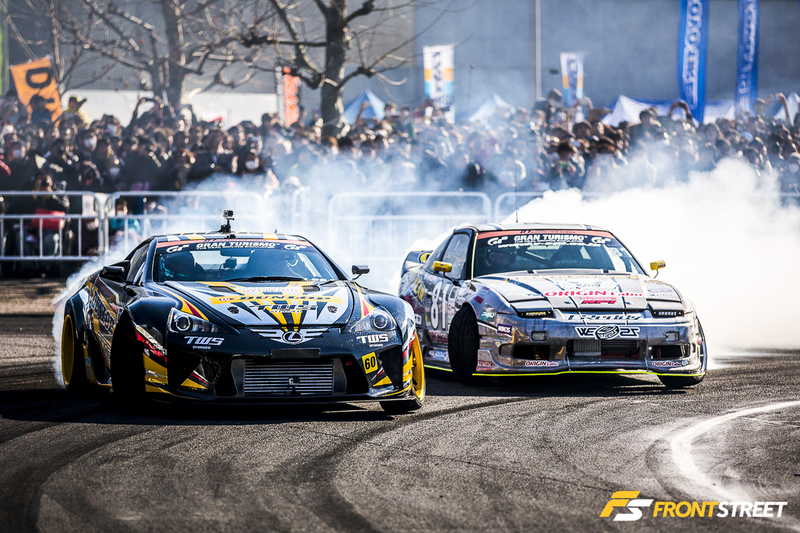 Yoichi Imamura in the OTG Lexus LFA and other professional drivers from the D1 Grand Prix, Japan’s premier drift series, attacked the “Kick Off Drift” demo course outside the halls. 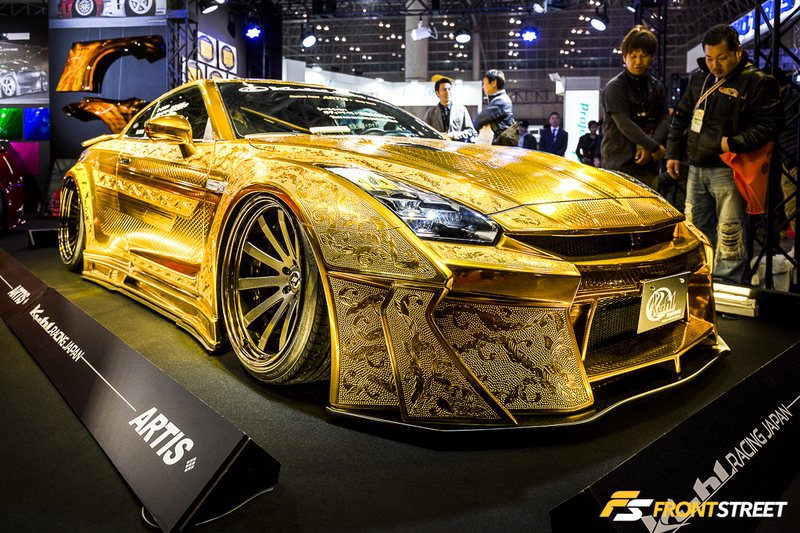 The extravagance of D.A.D. 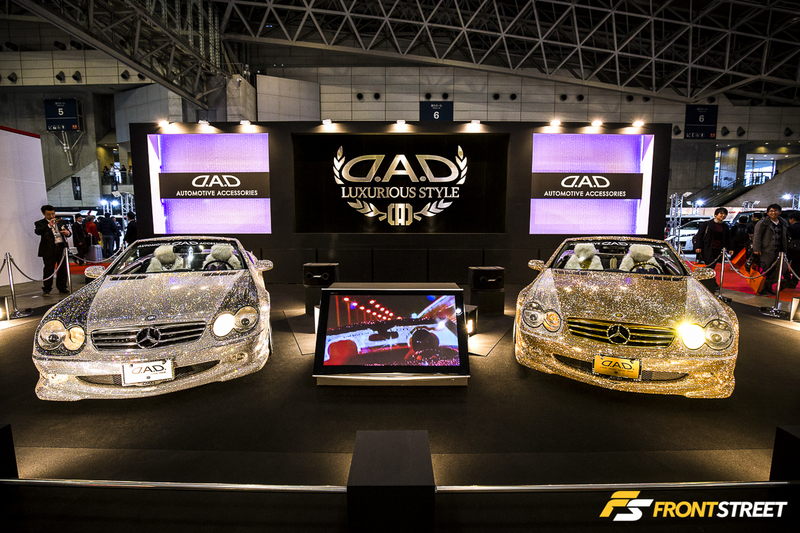 Luxurious Style’s two crystal-encrusted Mercedes SL convertibles explains what this company is all about. 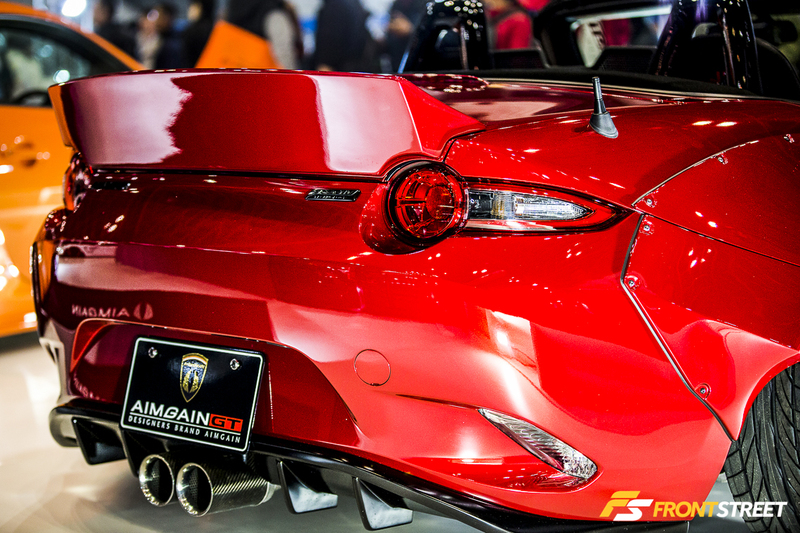 They produce luxury automotive enhancements for different manufacturers, catering to those enthusiasts for whom money is no object when it comes to obtaining the material possessions they desire. 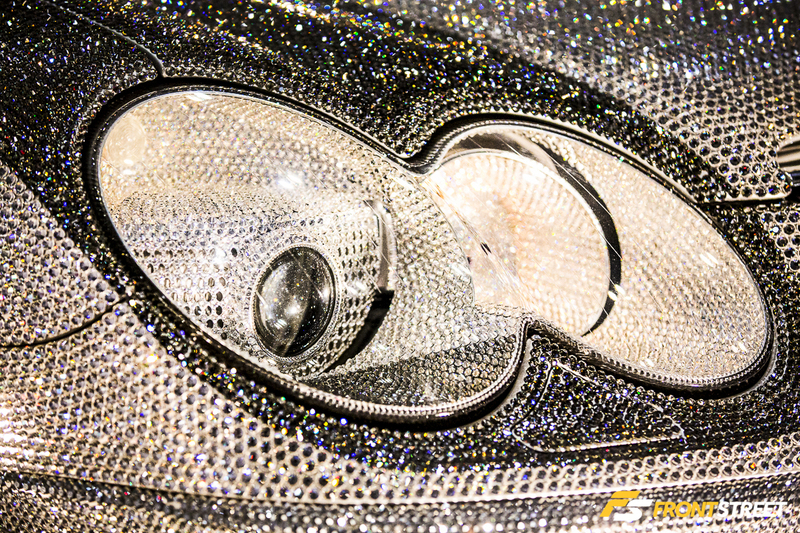 The meticulous placement of these crystals is remarkable. 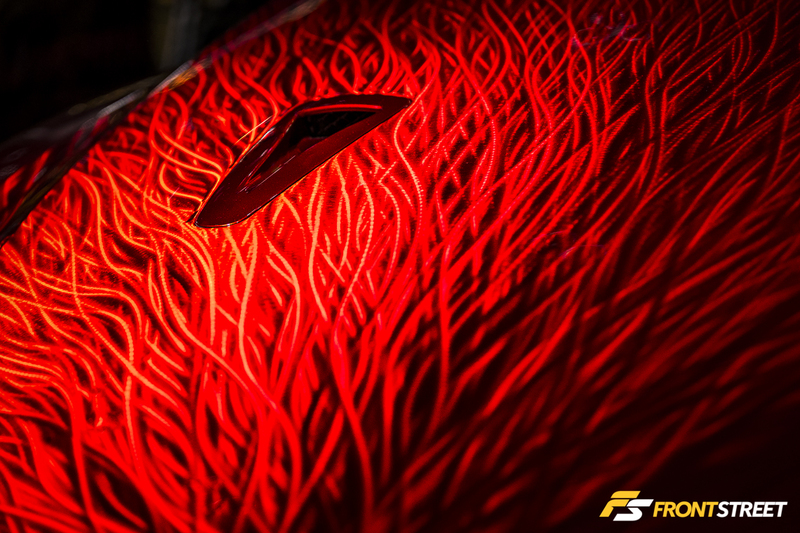 They flow with the lines of the car, and even populate the area inside the headlight housing. 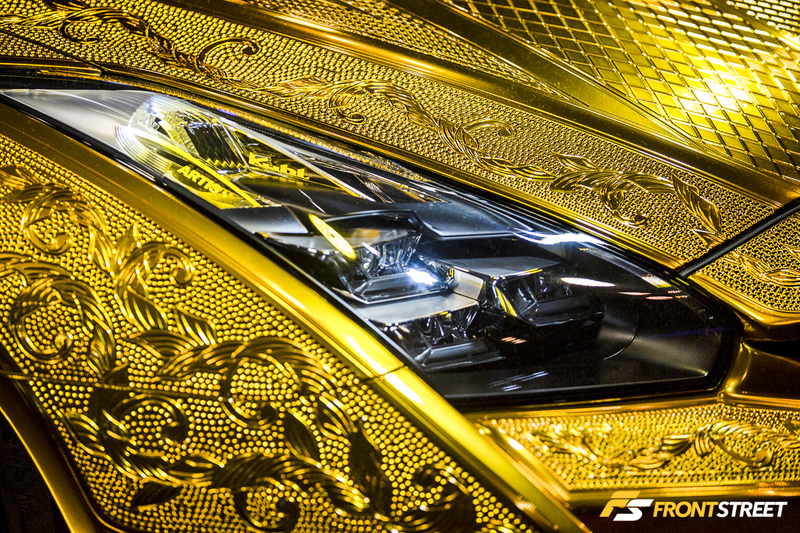 We can’t begin to fathom the amount of time this amazing display of craftsmanship required in order to come to life. 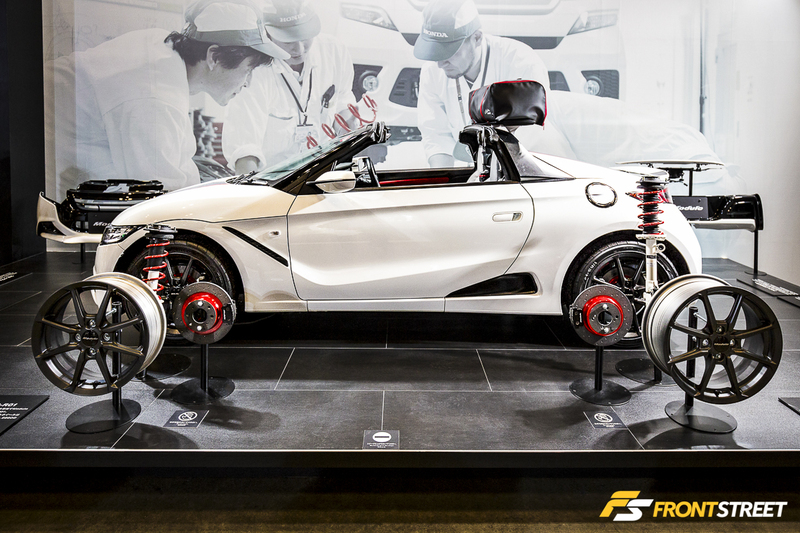 The Honda Beat’s replacement, the S660, was on display with a group of Modulo accessories offered in the Honda catalog. 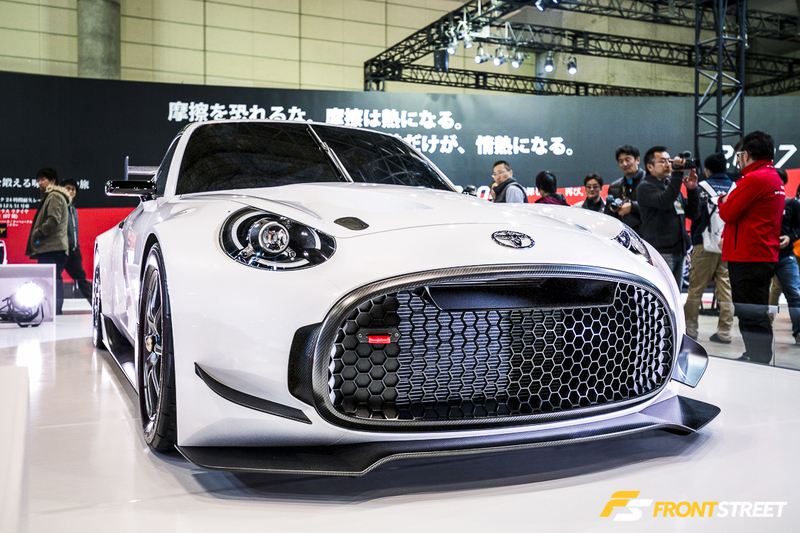 The mid-engine, rear-wheel-drive pocket rocket relies on a 660 cc, three-cylinder,63 horsepower turbo engine that allows it to reside in the ultrasmall subcompact “kei car” class of vehicles in its home country. 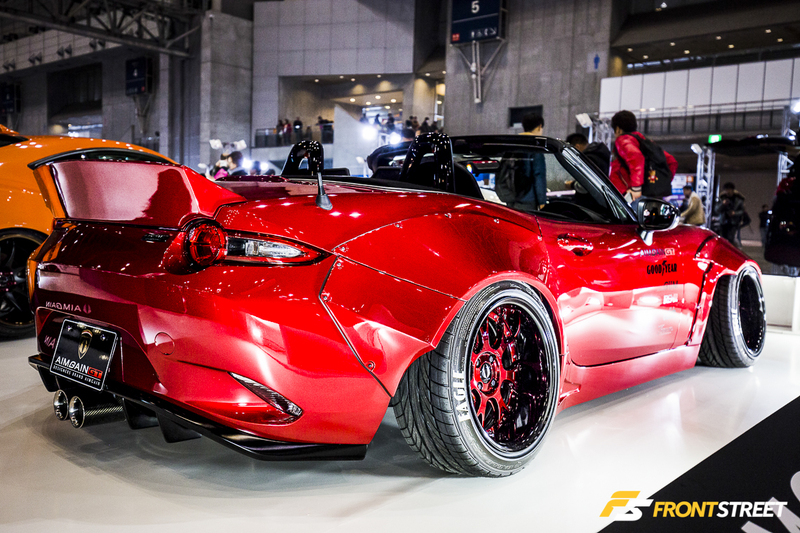 Rumor has it that Honda is developing a version of the S660 for use in America, albeit with a larger 125 horsepower engine. 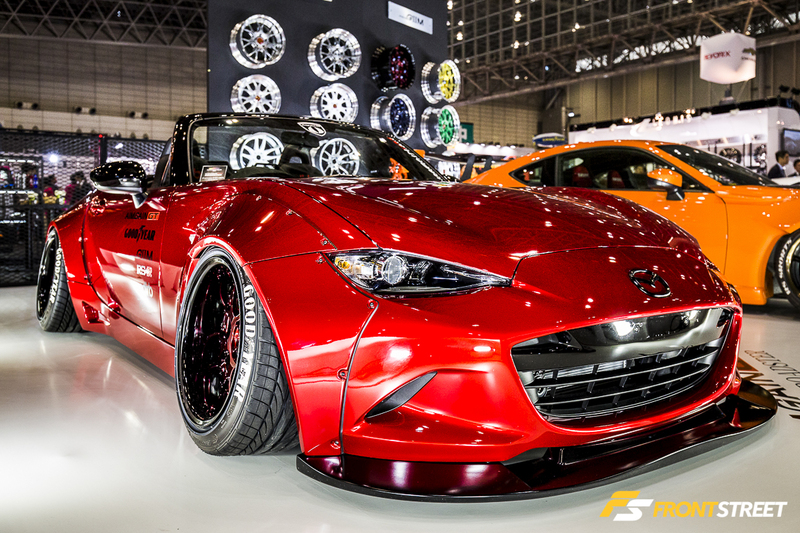 The highly anticipated ND5RC MX-5 Miata chassis was a preferred demo car among most of the companies present including Aimgain. 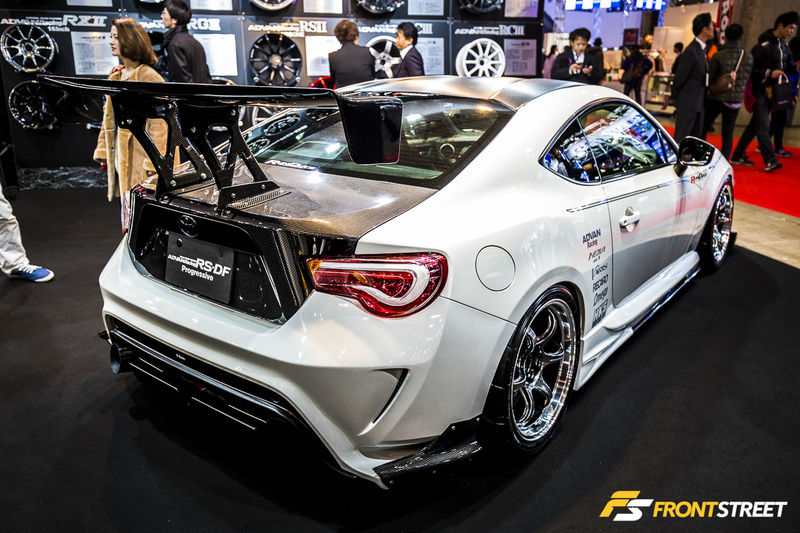 They bolted their new GT widebody to the OEM fenders, and added a rear spoiler to the trunk among many other modifications. 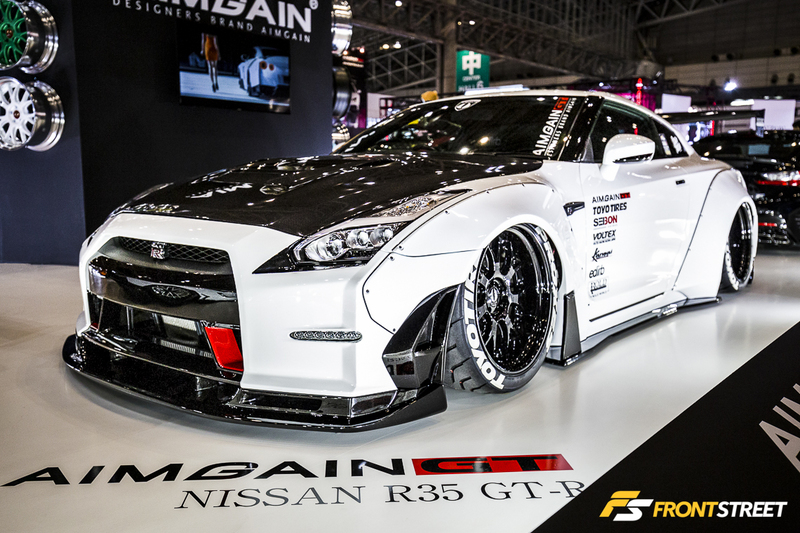 Under the fenders, they used a set of Aimgain GIIM three-piece wheels with color-matched faces to execute their desired fitment. 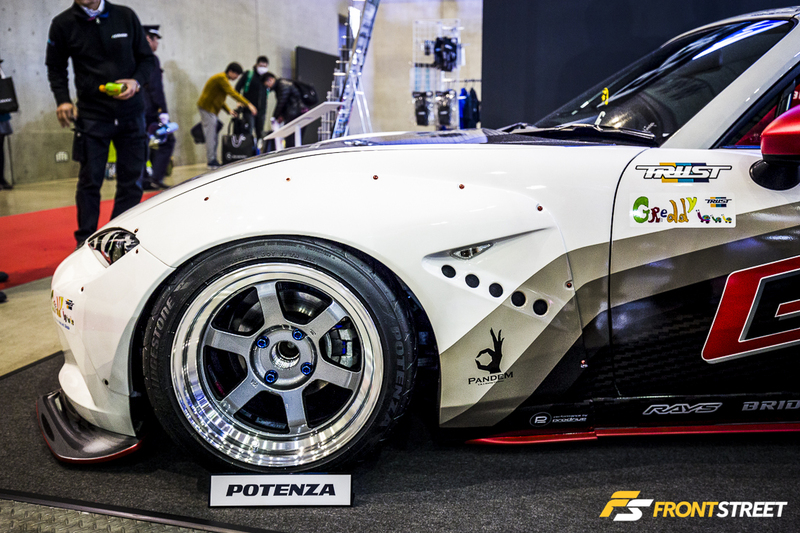 With a movement toward modification of exotics, a Lamborghini Aventador and Nissan R35 GT-R also wore additional Aimgain pieces. 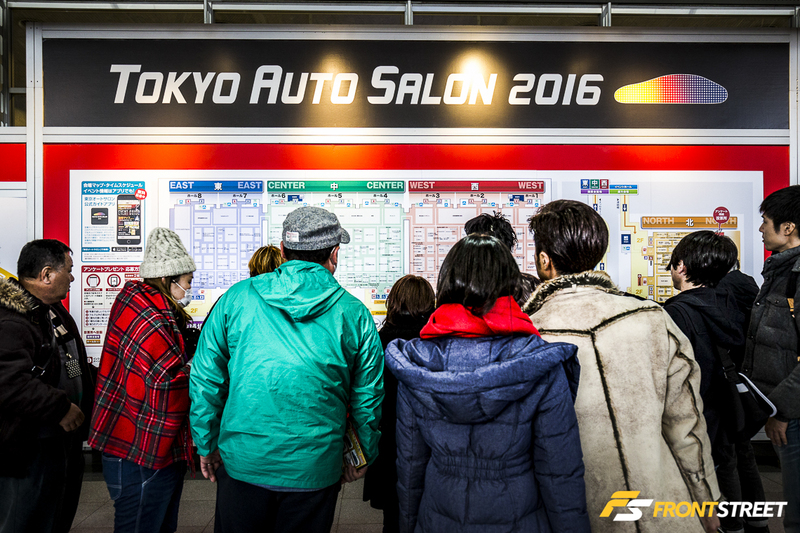 Many of the vehicles on display at the Auto Salon were equipped with airbag suspension to get the ride height just right. 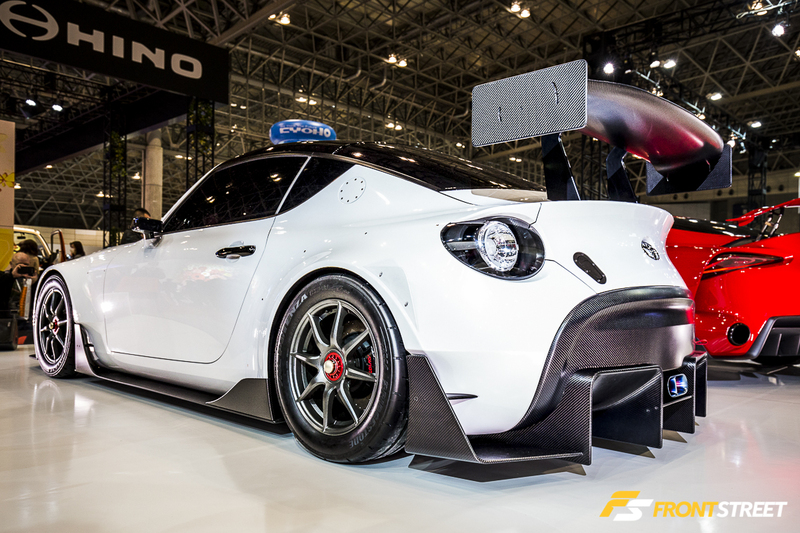 Advan Racing utilized a Toyota GT86 chassis covered in Varis aero pieces to bring attention to their new RG-D2 wheels. 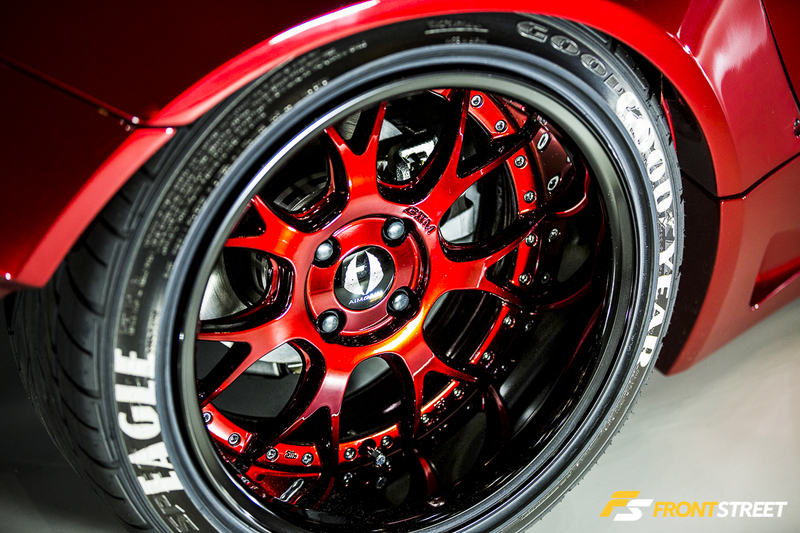 The added depth and optimized contours of the wheel configuration easily stored the big brake kit from Original Runduce behind its spokes. 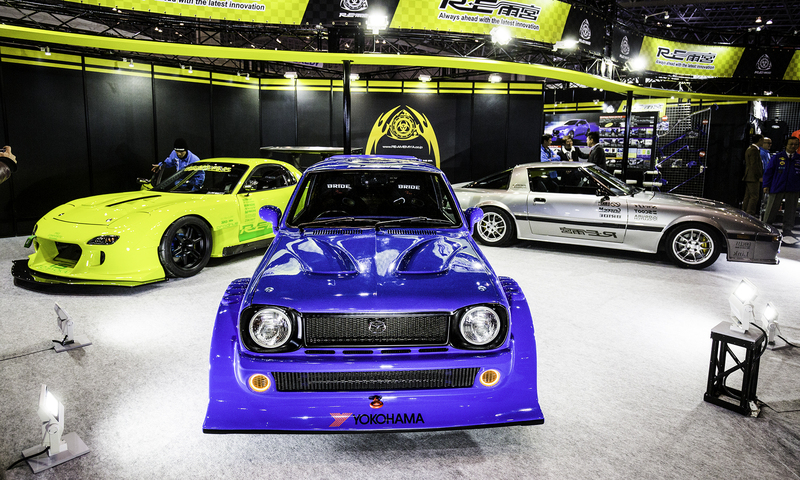 Though this show caters to the aftermarket crowd, there are also factory-backed booths that bring excitement. 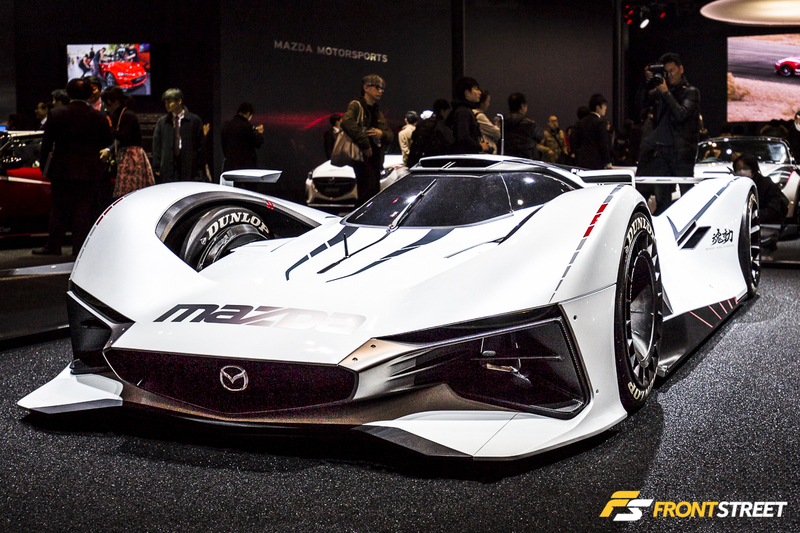 This Mazda LM55 Vision Gran Turismo concept features a streamlined exterior with carbon fiber wheels. 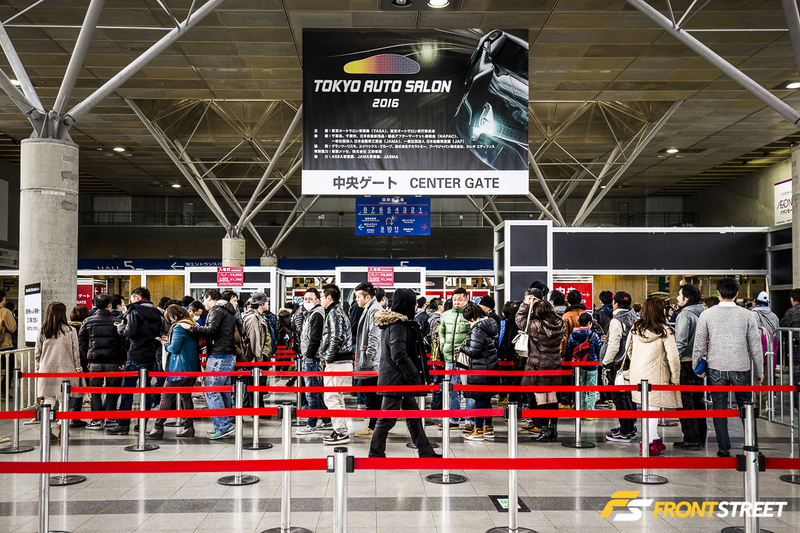 Often, the manufacturers will use a showcase like the Tokyo Auto Salon to preview future technologies and styling trends that may someday make it into production. 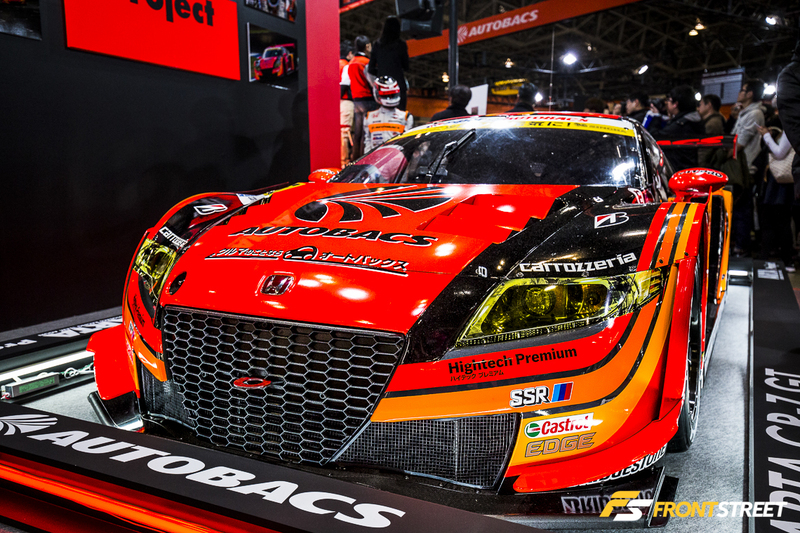 Kuhl Racing and ARTIS never disappoint when they create mobile works of art for this show each year. 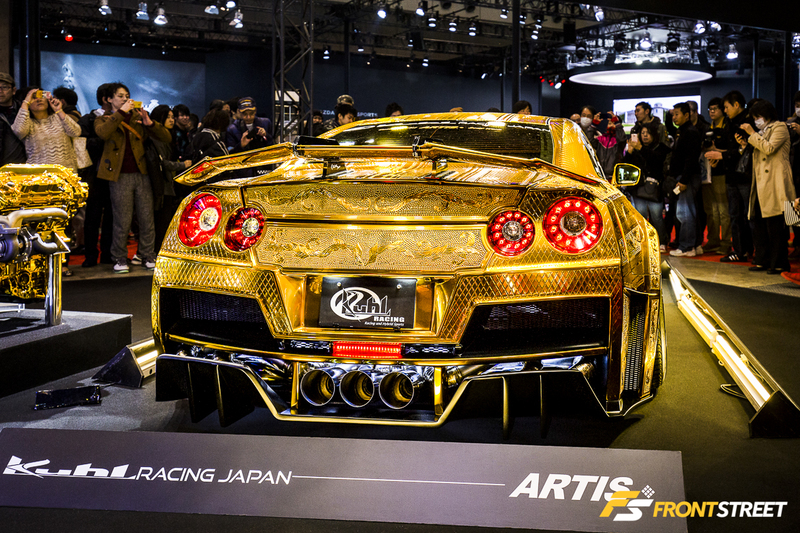 A Kuhl Racing kit alters the bodylines of this golden R35 GT-R, but it’s the ARTIS bodywork that takes center stage. 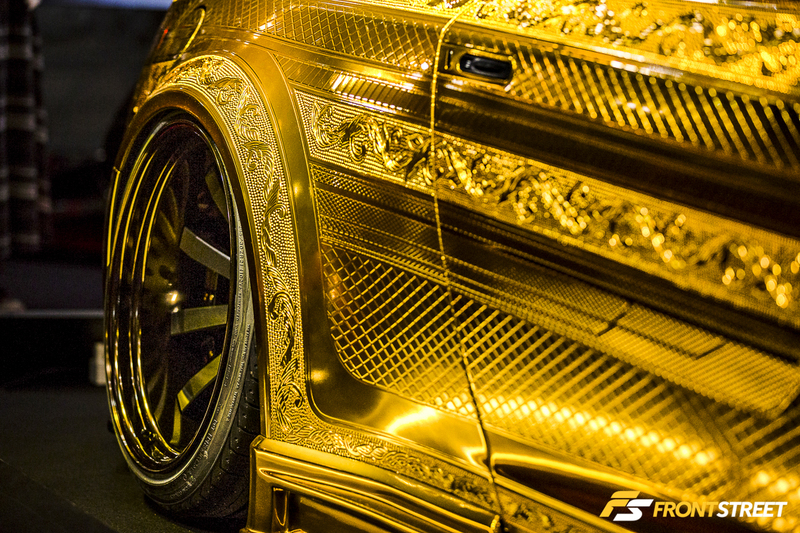 The car’s exterior is covered with hand-engraved intricate designs; these were incorporated before the reflective gold paint was sprayed on top. 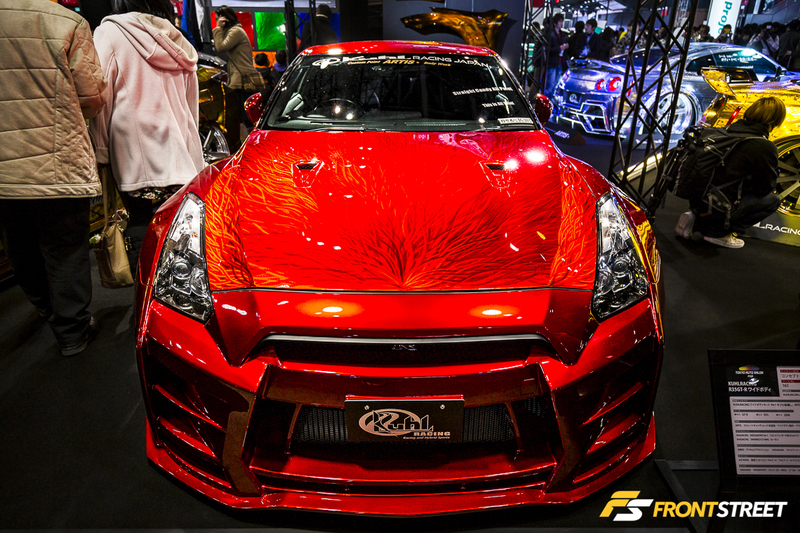 Also wearing a Kuhl Racing kit, this red GT-R displayed more ARTIS bodywork, in the form of this airbrushed hood. 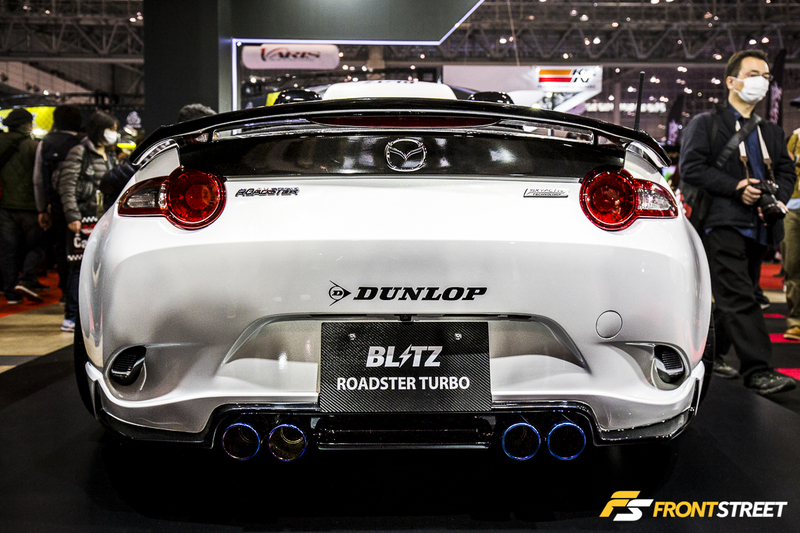 This ND5RC Roadster Turbo received a healthy bump in power from the Blitz turbo kit and transfers that power through a set of timeless Enkei RPF1 wheels wearing Dunlop rubber. 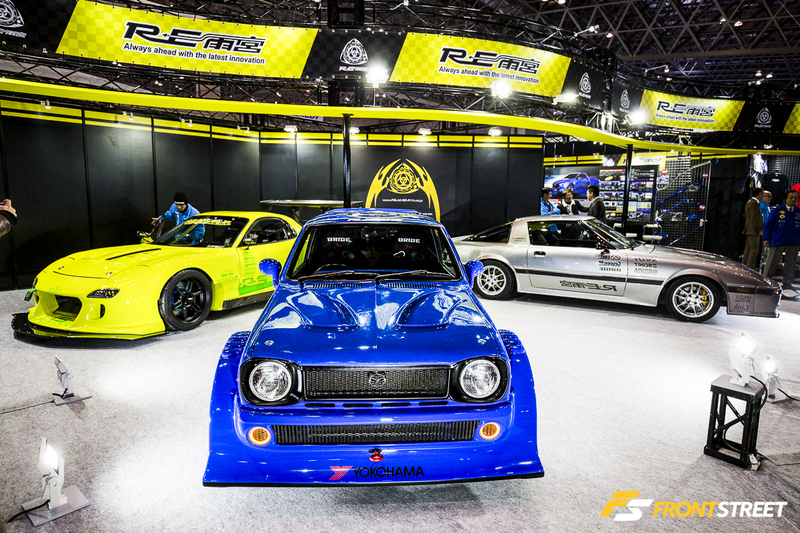 The influential Japanese tuning brand, RE Amemiya, brought out three examples of their rotary-equipped automobiles. 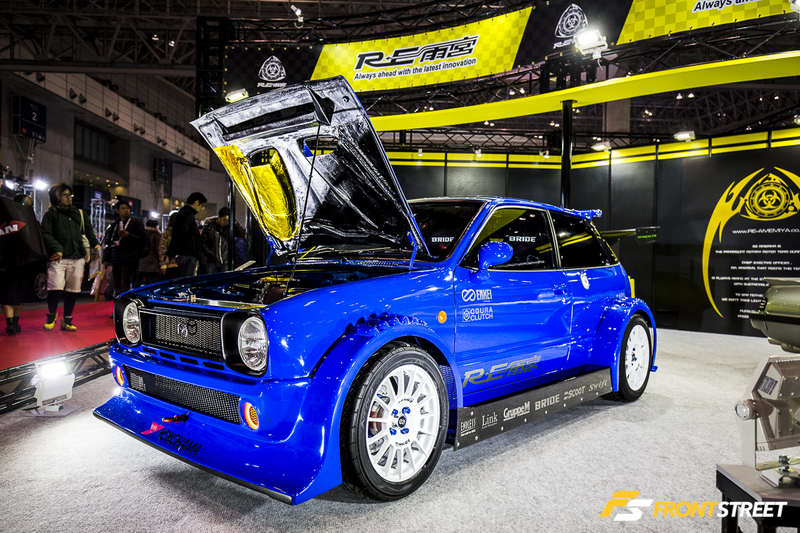 Normally a humble kei car, this Mazda Chantez has a 13B engine swap and widened fenders transforming it into a 280 horsepower beast — the extra fender width permits the use of wider tires that help to harness the power. 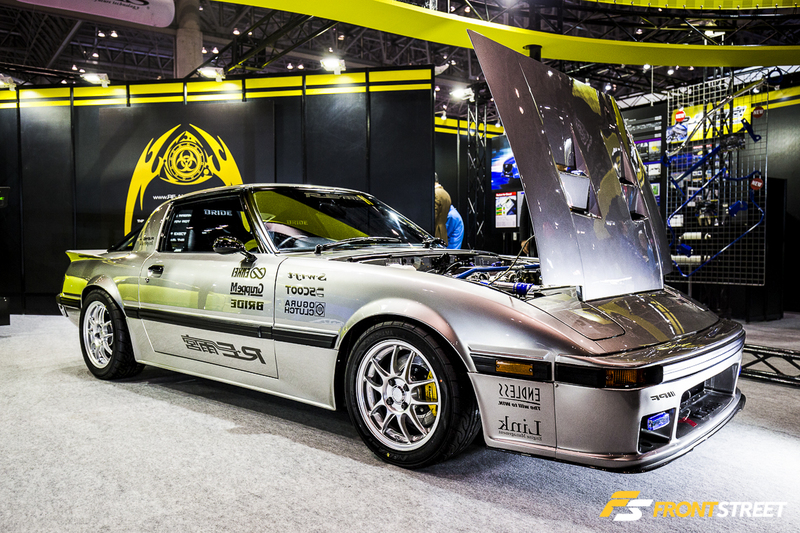 Encased in subtle aero pieces, the showroom-condition SA22C RX-7 in their booth also contained a 13B engine; this naturally-aspirated engine relies on tried-and-true horsepower-building tricks. 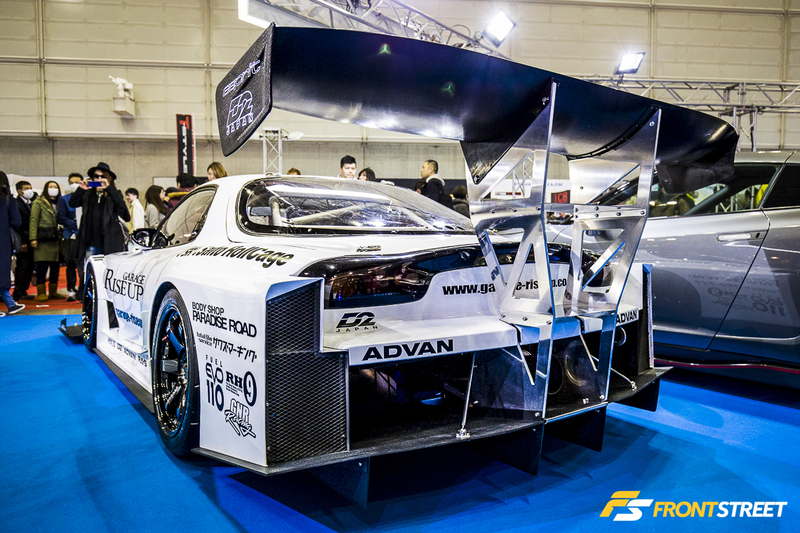 The wild aerodynamic design of this FD3S Time Attack car is almost as loud as the vibrant hue that covers its flanks. 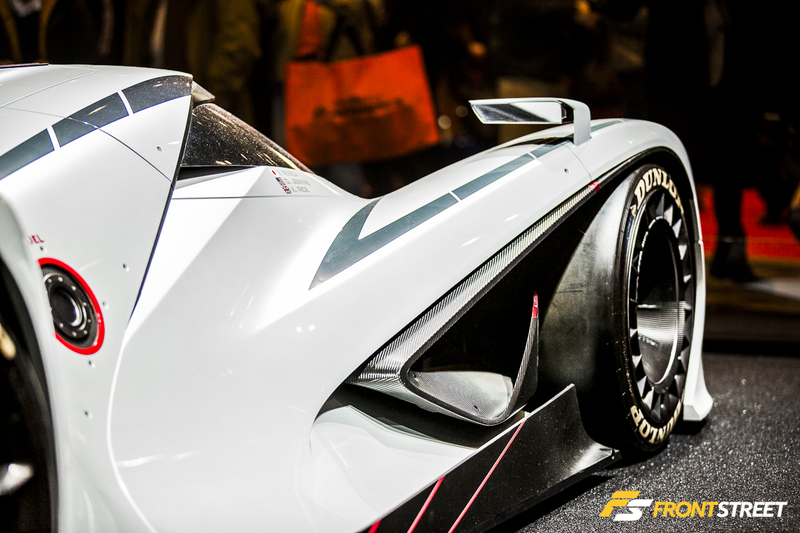 The contrasting black Bridgestone Potenza RW006 wheels match the various carbon additions on the body. 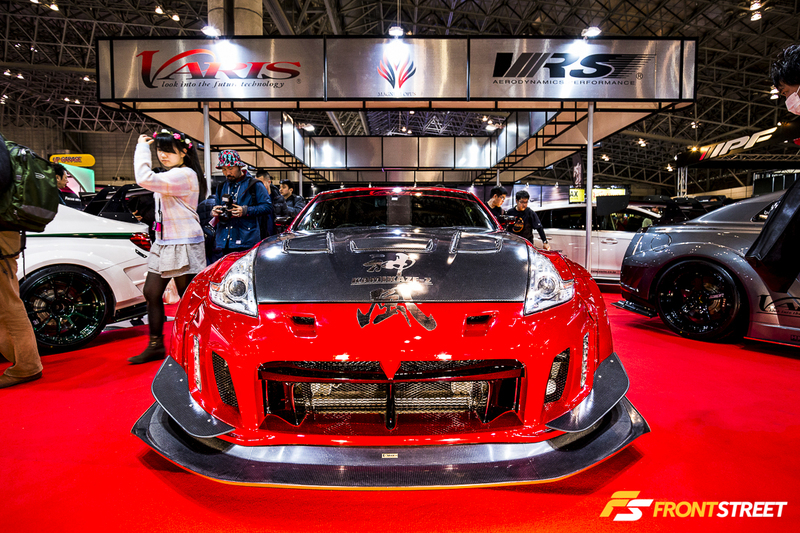 The new Bridgestone Potenza RW006 wheels also found their way onto the Varis demo car, a widebody carbon-clad Z34 370Z named the “Kamikaze-Z”. 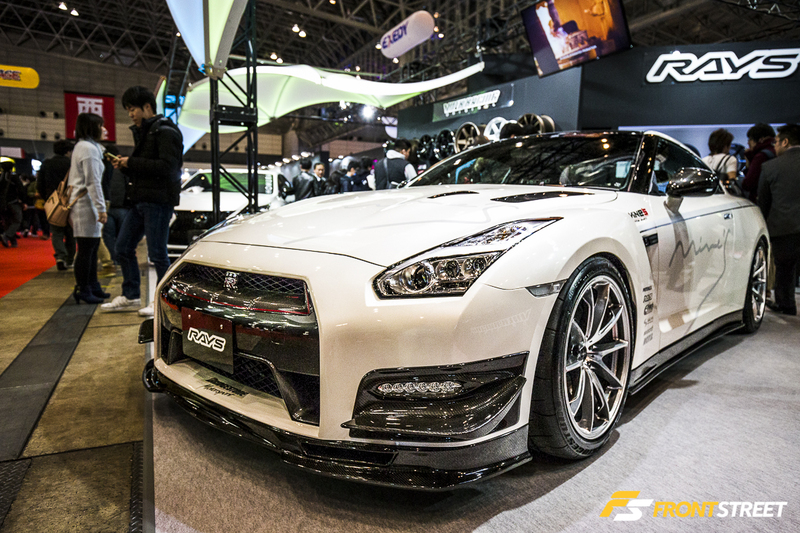 RAYS wheels displayed new Volk G25 Edge wheels on the traditional Japanese GT-R tuner Mine’s Motorsports R35 GT-R. 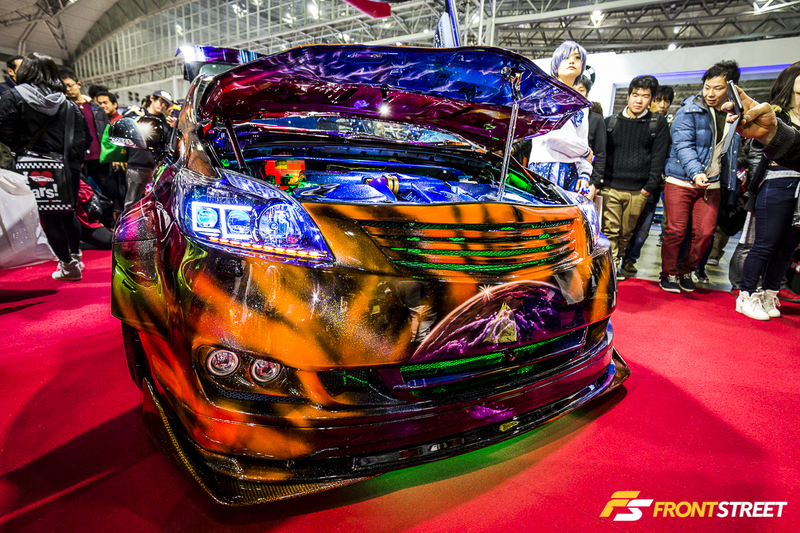 In Japan, minivans are modified like any other car. 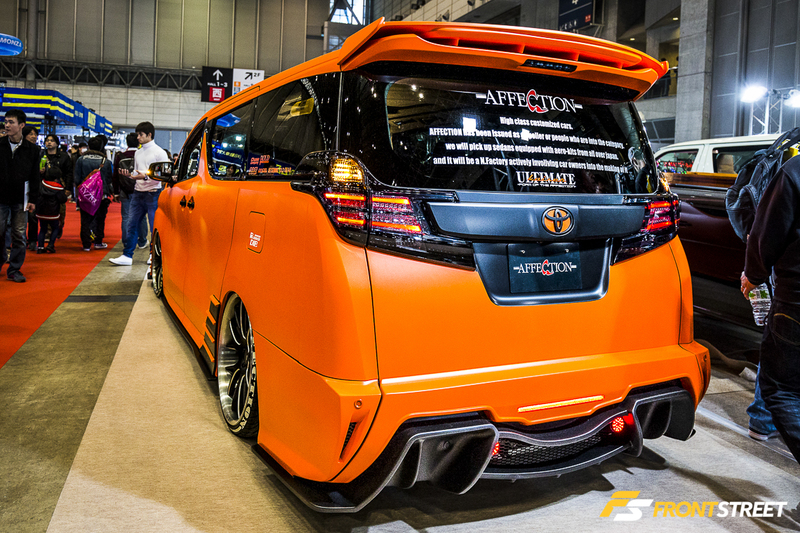 Some are built for racing, while others are built for show like this Toyota from Affection Japan. 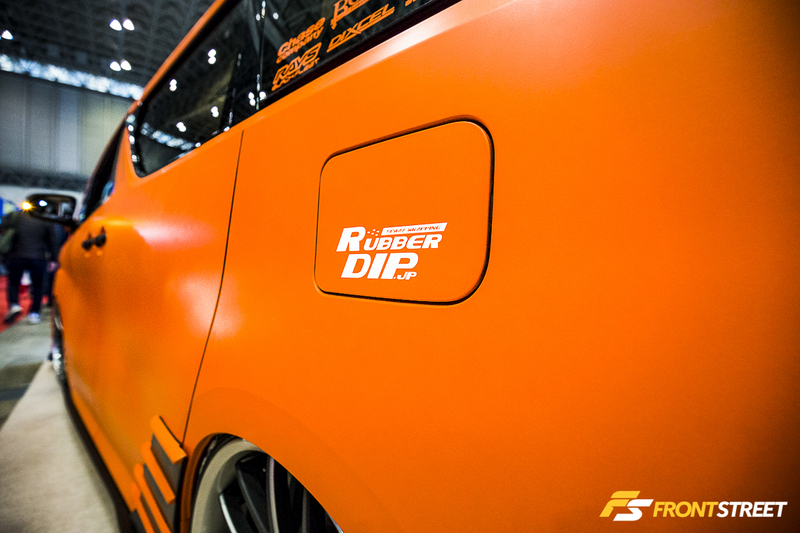 The flat orange color is laid over the body via the process known as spray-wrapping or plasti–dipping here in the States. 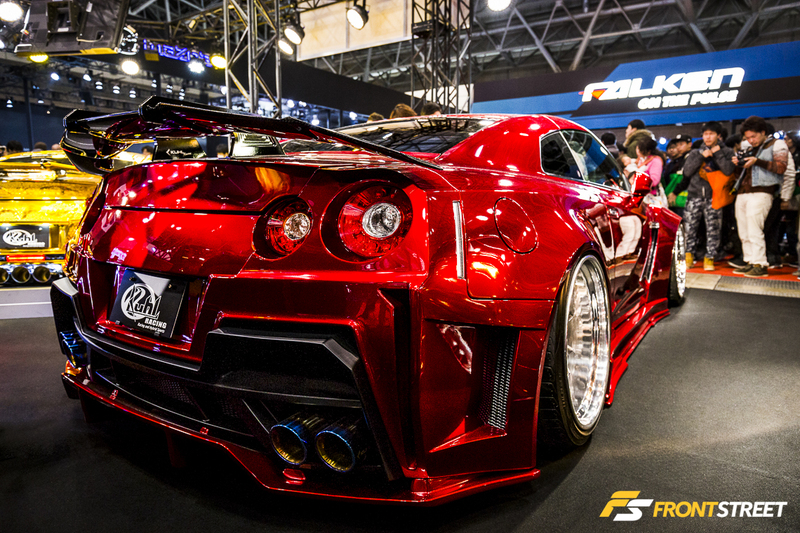 It allows for easy color changes without disassembly of the vehicle. 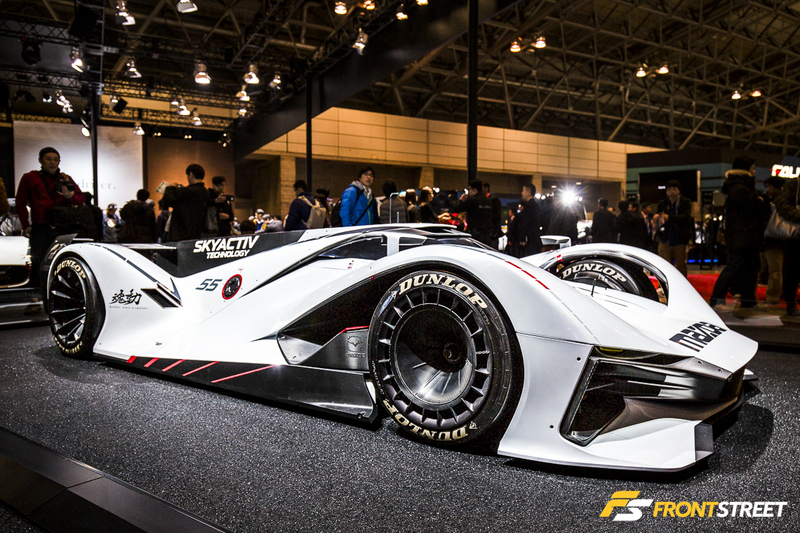 Weds Sport and Aimgain collaborated on this RC F to model their new Kranze wheel, the Vorteil. 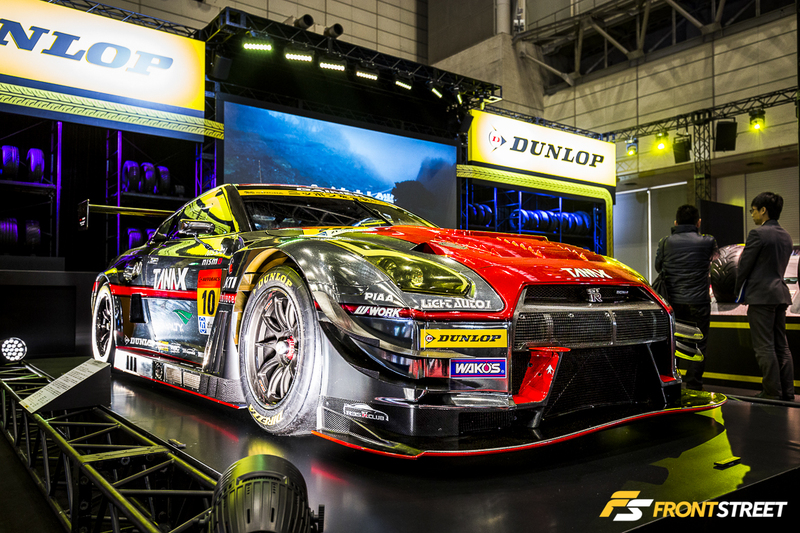 A few Super GT cars could be found in numerous booths throughout the halls. 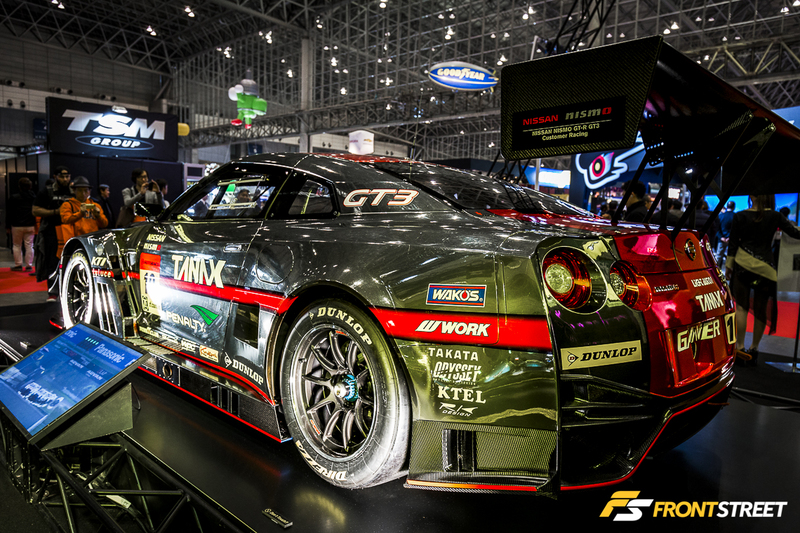 The Gainer/Tanax GT3 GT-R occupied the space at the Dunlop booth. 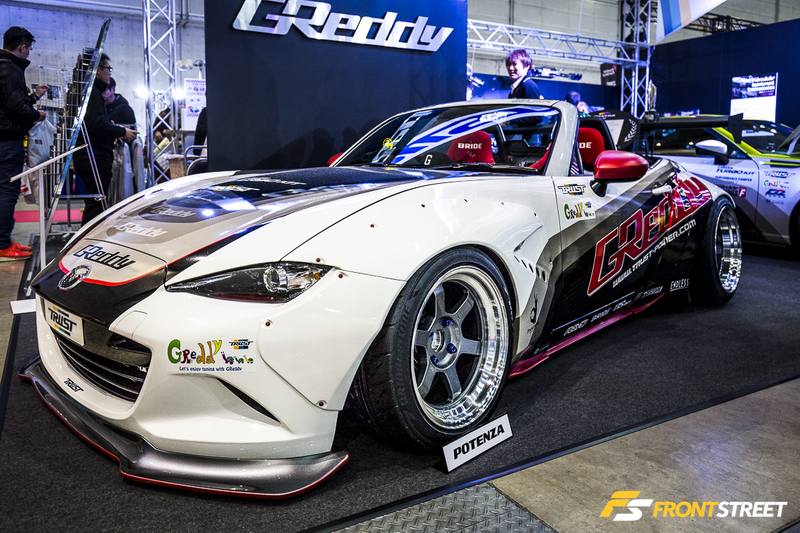 The Super Autobacs/ARTA Honda CR-Z GT Hybrid was also in attendance with hub-lock SSR wheels. 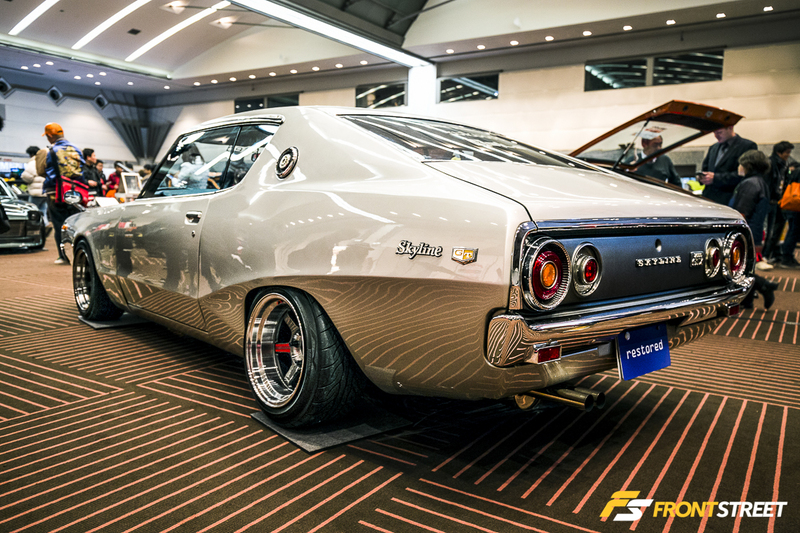 Blending the perfect combination of restoration and modern modification Restored Japan’s Kenmeri Skyline sported new Volk TE37V wheels. 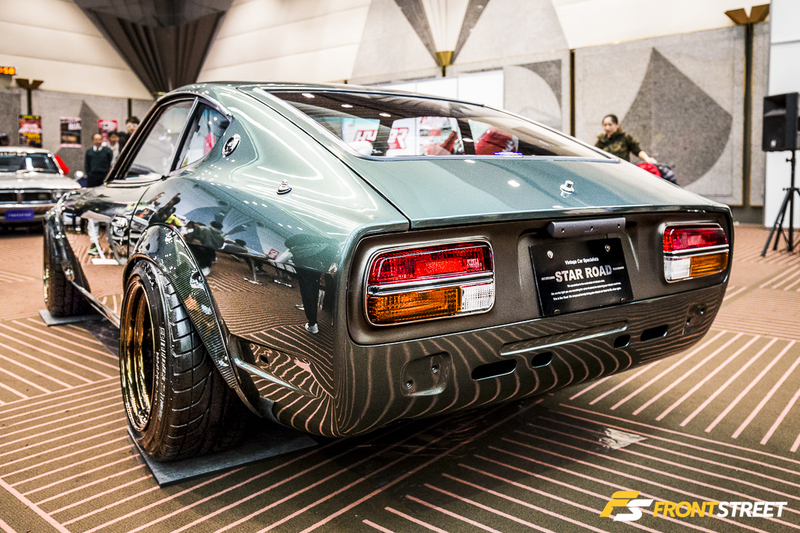 This vintage 240Z from Star Road is yet another perfect combination of classic yet innovative muscle. 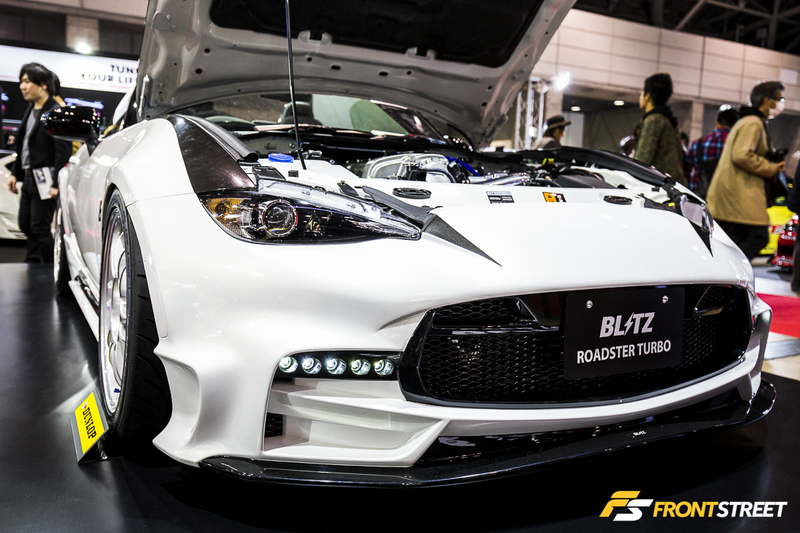 The car is equipped with Work Wheels’ Glow Star wheels produced specifically for Star Road. 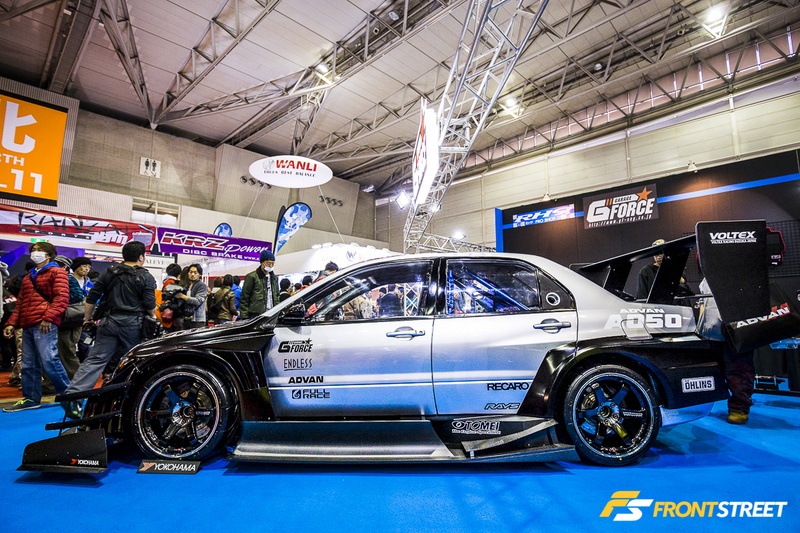 Time Attack competition has always been an influence for the Tokyo Auto Salon. 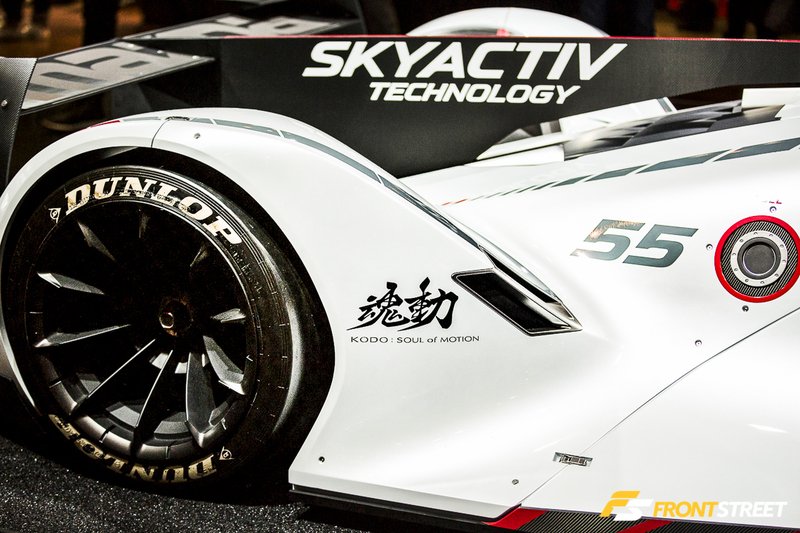 With so many of the vendors participating in the quest for faster lap times at dignified racetracks, the progression of aerodynamic research has grown. 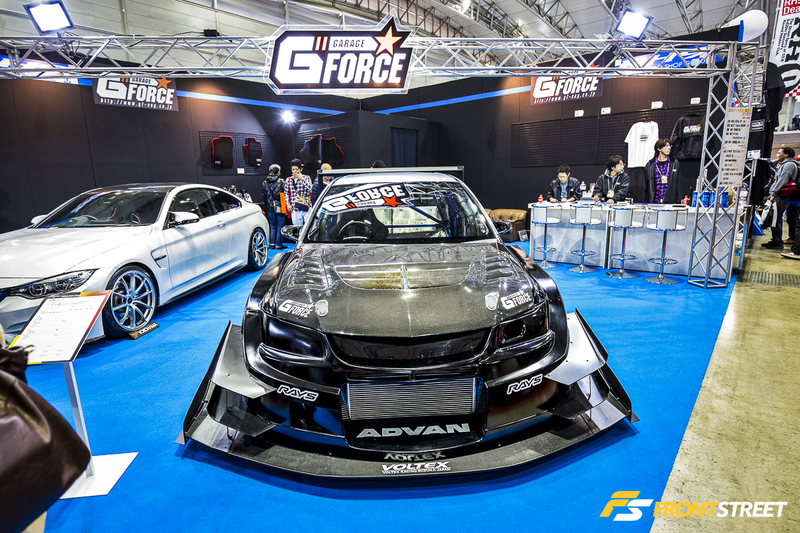 The Garage GForce Evo was designed and built by Voltex using a full-scale wind tunnel facility. 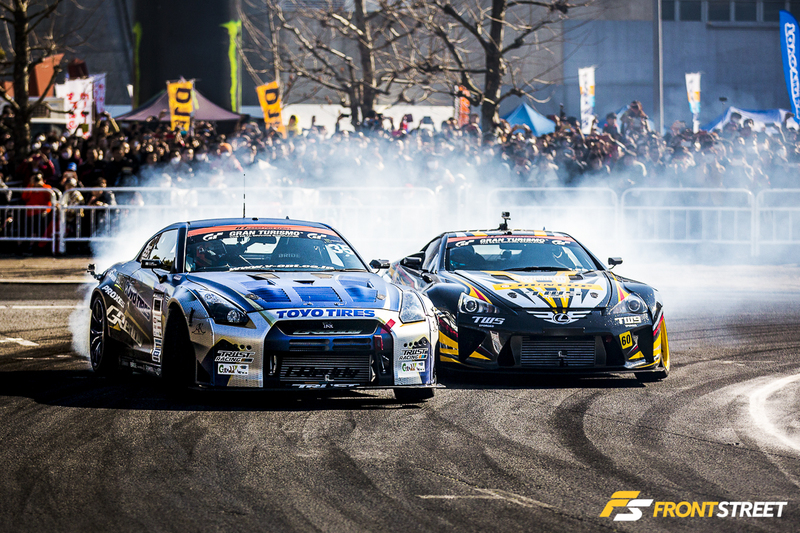 Though some bits may look exaggerated, they are fully functional on the track and return the intended performance boost. 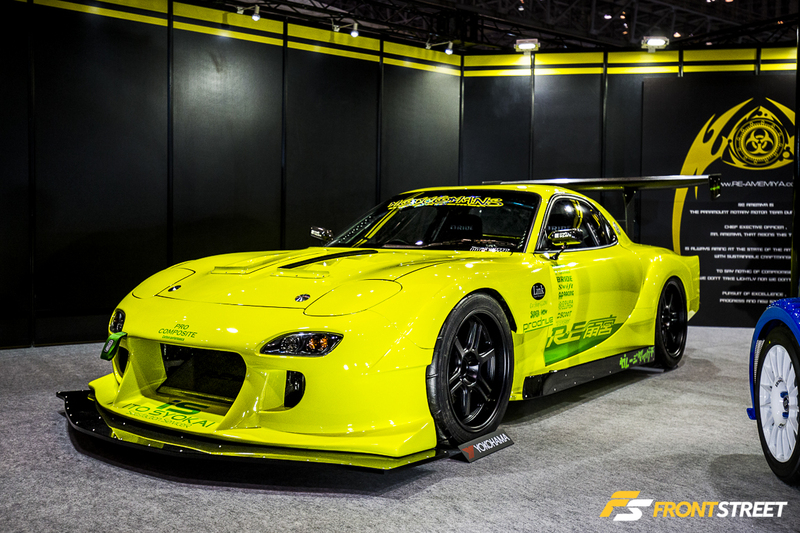 Garage Rise Up created this unique looking FD3S with a large front Mazda grill taken from a newer model. 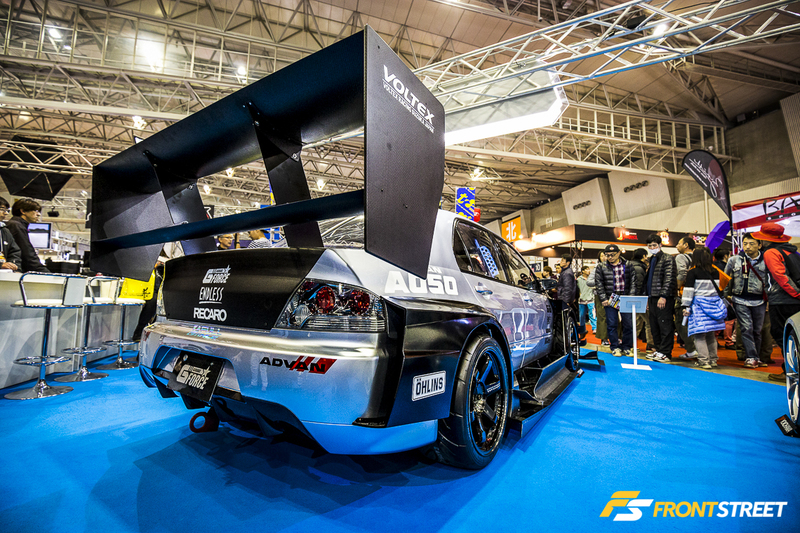 The elongated and widened body is designed to provide more downforce and better grip as it cuts through the wind at high speeds. 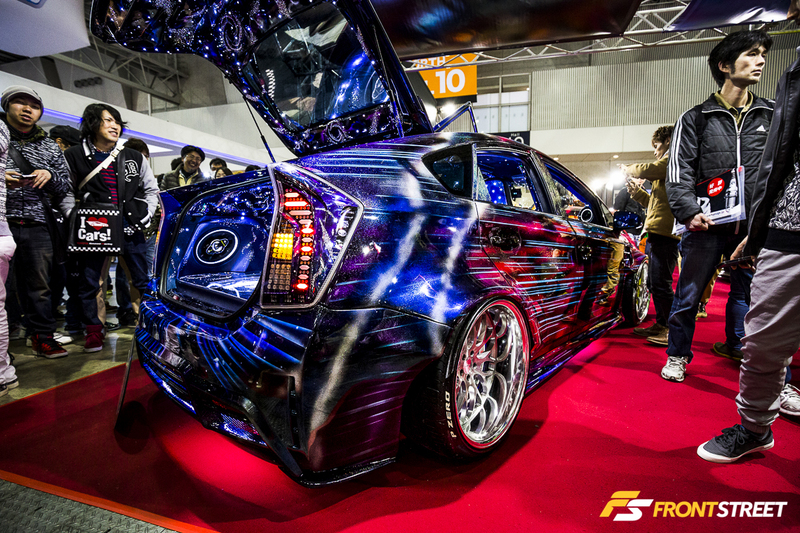 Exemplifying Japan’s outrageous tastes in vehicle modification, this Prius carries detailed airbrush illustrations and designs from the exterior into the interior. 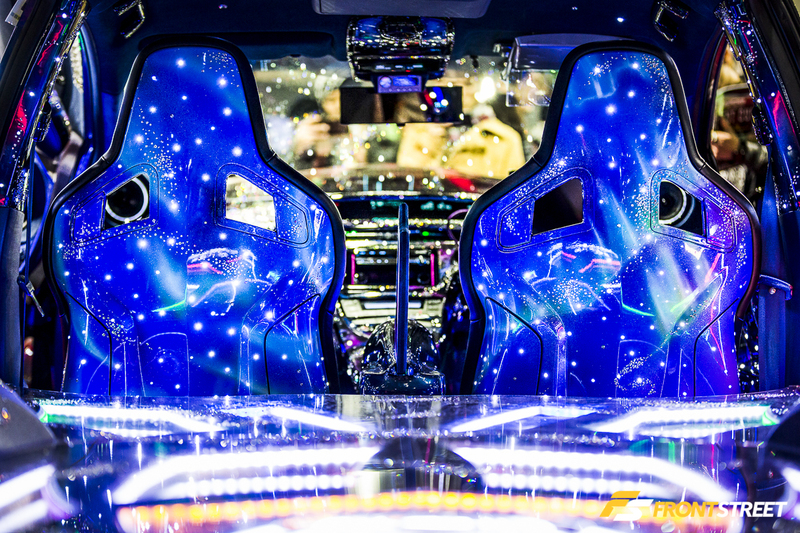 Accompanied by intense lighting along with a completely custom audio system and dash-mounted tablet, the interior depicts a scene from Space. 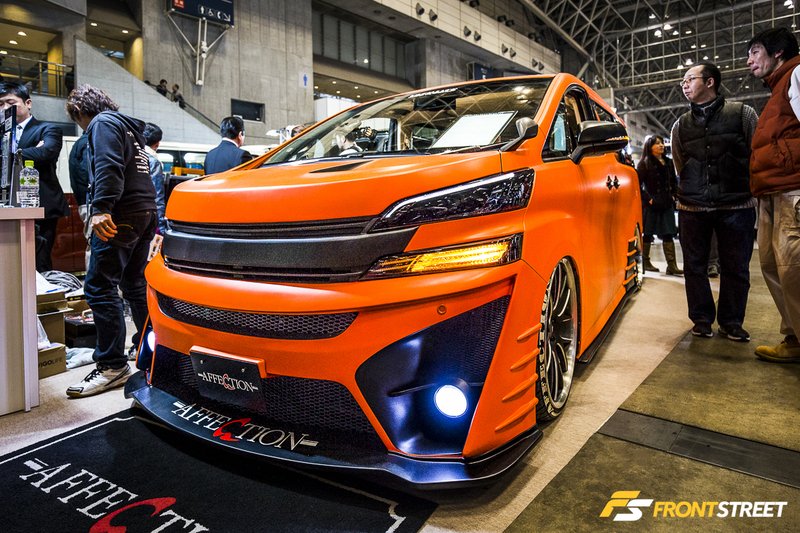 Though still technically a Prius, this is on the opposite side of the spectrum from most road-going hybrid cars. 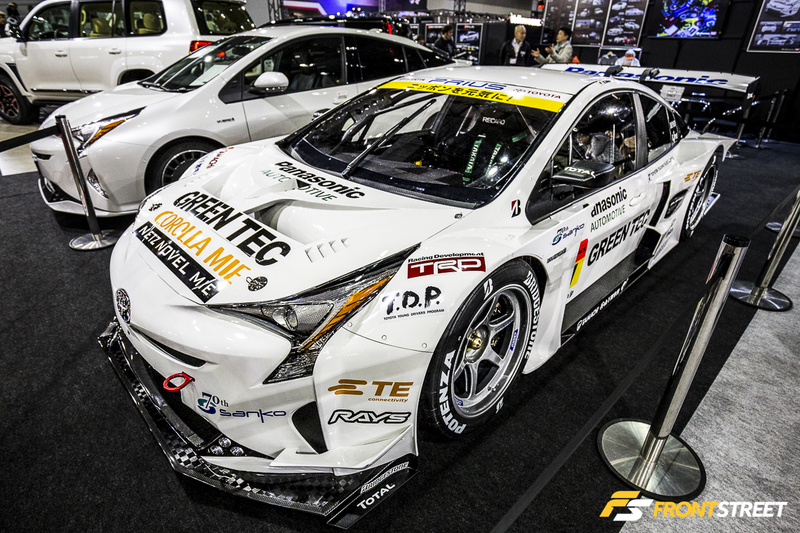 The GREEN TEC Prius only appears to be based off the Toyota hybrid. 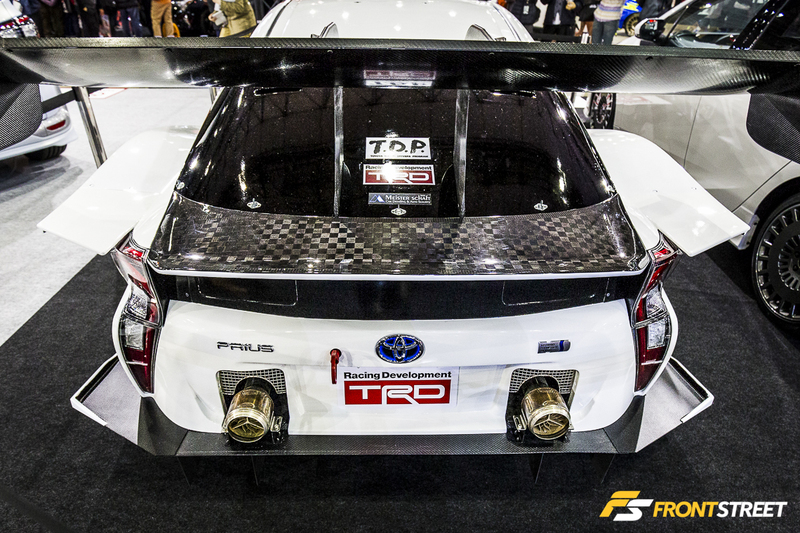 In fact, this bespoke racecar started life as a bare roll cage before it was given its mid-engined heart. 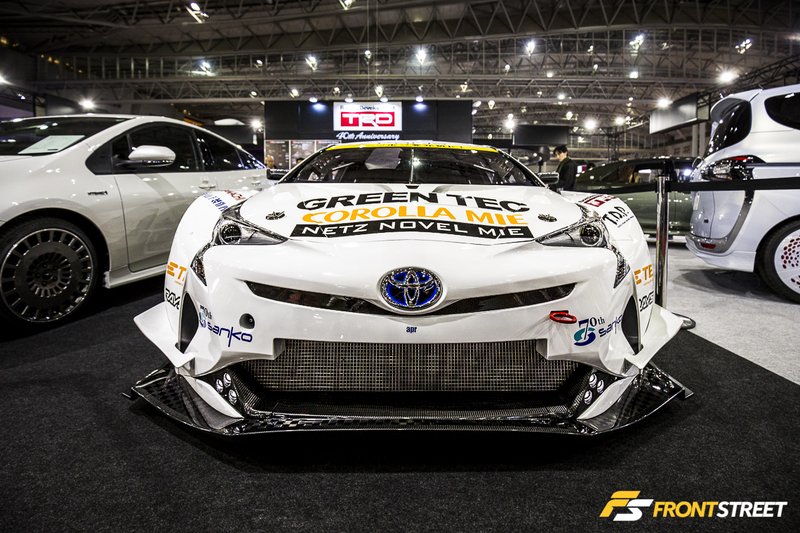 The Prius doppelganger was molded from STF Carbon Fiber weave to compete in the GT300 class of Super GT racing. 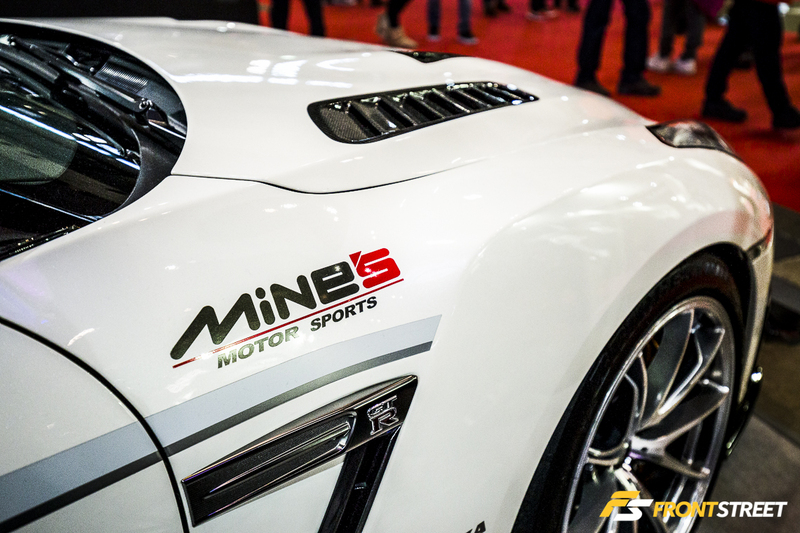 Garage Vary displayed their new body pieces for the ND5RC on this white example with Work wheels. 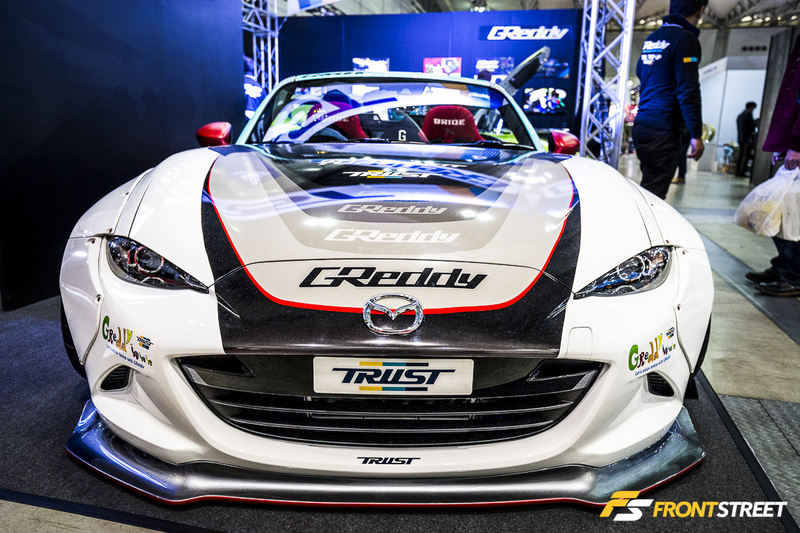 GReddy/Trust exhibited another variation of ND5RC MX-5 Miata widebody paneling, a Pandem/Rocket Bunny kit. 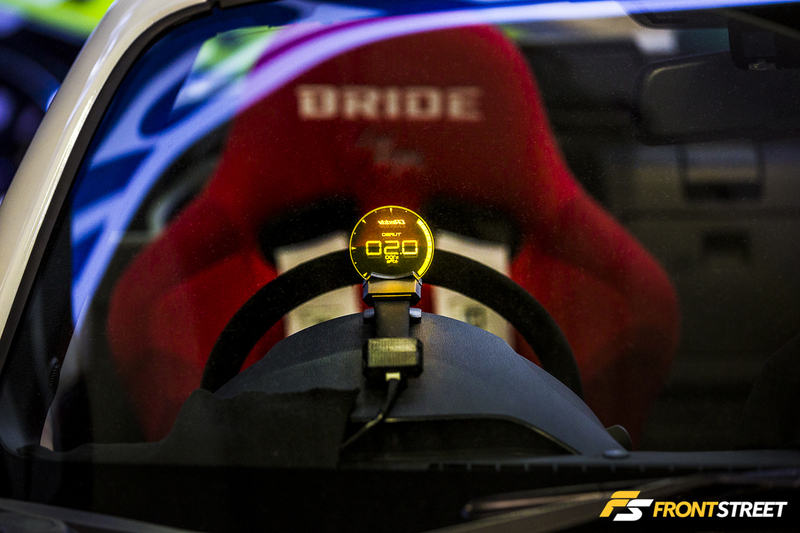 Inside the convertible GReddy lit a new prototype heads-up display design being unveiled at the event. 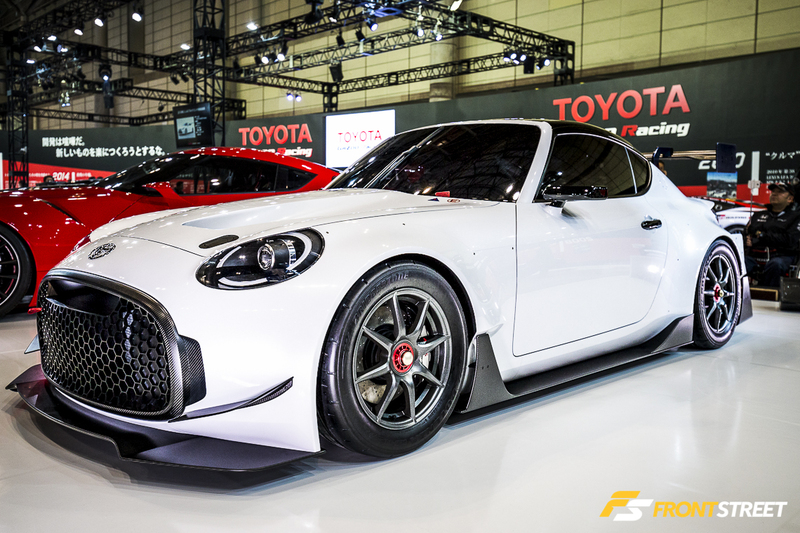 Our coverage of the 2016 Tokyo Auto Salon concludes with Gazoo Racing’s take on the Toyota S-FR concept. 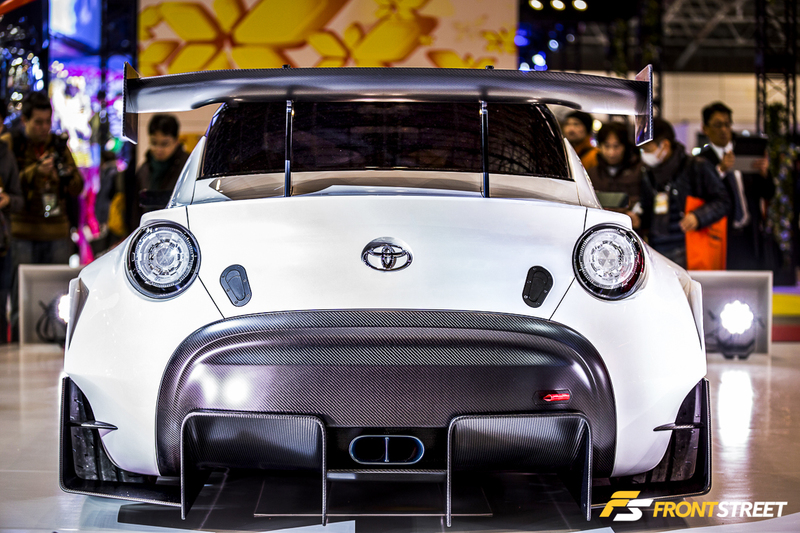 Using various styling cues from purpose built racecars, this small demo car indicates the tuning possibilities of this concept chassis.